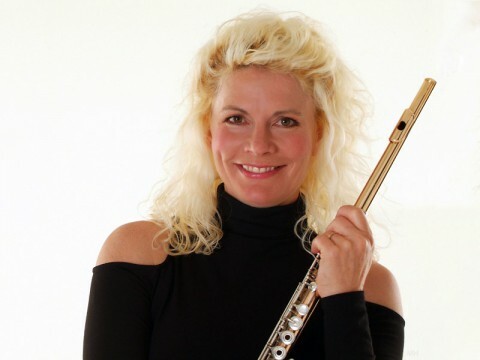 Clarksville, TN – The final Roy Acuff Chair of Excellence recipient of 2014-15, Grammy Award winning flutist Rhonda Larson, will bring her talents to campus for a series of lectures and master classes at Austin Peay State University the week of April 21st-28th. During her residency, Larson will share her experiences as a performing artist, as well as offering insight and lessons to APSU and area students. Her visit to campus will conclude on Tuesday, April 28th, with a concert with the APSU Wind Ensemble under the direction of Dr. Gregory Wolynec. The event will take place at 7:30pm at the Mabry Concert Hall, on the campus of APSU. In addition, Larson will perform “Flutes Fantastique,” a concert featuring a variety of ethnic flutes. The performance will also feature APSU professor David Steinquest on percussion, as well as guitarist Paul Binkley and bassist Tony Nagy. 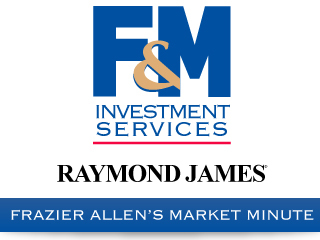 The concert will be at 3:00pm at the Mabry Concert hall. Dr. Lisa Wolynec, APSU professor of music, said Larson was chosen to serve as the final Acuff recipient of the season, in part, because of her long and varied experience as a musician. After venturing out, Larson formed her own band, Ventus, with which she regularly tours the country. In addition, Larson performs individually with her show, “One Woman, A World of Music.” Larson’s career has taken her around the world, including performances in Russia, Japan, Europe, South America and Central America. Larson’s talents have also brought her to South Africa, where she served as a musical ambassador for the United States to perform for the Parliament of the World’s Religions, sharing the stage with such luminaries as Nelson Mandela and the Dalai Lama. Also sought after as a teacher, Larson recently served as a featured teacher at the National Flute Association National Convention. She also gives a regular occurring class each summer in Italy. “Rhonda doesn’t want people to think of the flute as just this pretty, delicate instrument,” Wolynec said. “She’s really pushed the boundaries … she wants (the flute) to be expressive on all levels, and not viewed as just instrument that girls in school bands play. 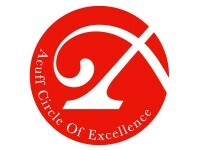 Established in 1985, the Roy Acuff Chair of Excellence brings regionally and nationally acclaimed artists to campus to work with students and the community in a dynamic atmosphere of unrestricted experimentation. Each Acuff Chair gives a public performance and visits the campus for about a week. For more information on the concert, or this year’s Acuff Chair of Excellence, contact the APSU Center of Excellence for the Creative Arts at 931.221.7876.